I have up till now chosen to maintain my silence and not to respond to inaccurate press reporting. However, given the level of deliberate inaccuracies, I am now forced to respond because it is clear that the EFCC is taking advantage of my silence to try me by media and to convict me in the eyes of the public. virtue of an order of the federal high court, I have forfeited to the federal government, the sum of $153.3m which I purportedly stole from the Nigerian National Petroleum Corporation, NNPC. First and foremost, whilst the reasons for my being out of the country are public knowledge, the principle of fair hearing demands that I should have been notified of formal charges if truly there was a prima facie evidence or indictment against my person linking me with the said issue, so as to ensure that I had adequate legal representation. This was never done. I wish to state that I cannot forfeit what was never mine. I do not know the basis on which the EFCC have chosen to say that I am the owner of these funds as no evidence was provided to me before the order was obtained and they have not in fact served me with the order or, any evidence since they obtained it. As of the time of my writing this rebuttal, the EFCC have still not furnished me or my Lawyers, with a copy of the order. I am also informed by my lawyers that the legislation under which the EFCC obtained this order is for situations where the funds are believed to be the proceeds of crime and the owner is not known. I do not therefore, understand how the EFCC can in the same breath say that the monies in question are mine. If they had evidence that the monies were mine then they would not /should not, have used the procedure which applies only to funds of unknown ownership. If indeed they used this particular legal procedure because they did not know who owned the monies, then how can they now be falsely attributing the ownership to me. Let me re-state categorically as I have always maintained, for the record, I have NOT and WILL NEVER Steal Money from OR DEFRAUD the Federal Government of Nigeria. I am willing to respond to any charges brought against me that follow duly laid down procedures. However, in their typical manner and style, the EFCC have gone to the media to attempt to prosecute their case as trial by TV and other media, rather than go through the onerous but tried and tested means of the Judicial Court process. In the face of the obvious falsification of facts and misinformation, it is only right and proper that the EFCC should publish the details of the $153.3M lodgements, the bank account numbers and the account beneficiaries, showing proof of my link to them. Having also alleged that the said $153.3M was ‘wired’ from NNPC, the EFCC should also publish details of the NNPC accounts from where the said $153.3 million was taken from, with proof that I authorized such a transaction/transactions acting either in my private capacity or, as The Honourable Minister of Petroleum. Let me state for the record that as Minister of Petroleum, the operation and management of NNPC finances were outside my purview as outlined in both the Petroleum Act and the NNPC Act. The only involvement I had in NNPC Finances was in terms of statutory matters, where the Petroleum Act prescribed that as Minister, there were certain duties or actions which I had to perform or take in relation to NNPC. With regards to the various news reports published in both the online and print media, insidiously inferring that I was indicted by Italian prosecutors for, as they put it, ‘ sharing in the Loot’ of the $1.3bn OPL 245 oil block deal that involved Malabu and the Joint Venture Multinational partners, ENI(AGIP) and Royal Dutch Shell. Let me once again State for the record, that this is another figment of the author’s imagination, which given the persistent bid to ensure my destruction and stick all of the Sins of the Corruption plagued Oil and Gas Sector of over the last 30years upon my head, probably emanated from the EFCC itself! Let me clarify the position re the history of OPL 245, otherwise known as Malabu. You will find a full chronology in the attached report that I made to the House of Representatives in late 2011 (Annex 2A/Annex-2B). In 2010, shortly after I was appointed as Minister of Petroleum Resources, the issue of OPL 245 was brought to my attention. I looked into the case and immediately became aware of the inherent and long standing sensitivities around this issue. It became clear from the onset that this case was not within the direct purview of the Minister of Petroleum Resources but in the main was centered around issues of Law. By this time there was already an ICSID(International Centre for Settlement of Investment Disputes) investigation and claims against the FGN running into billions of dollars. Therefore, we took directives from the Chief Legal Officer of the Nation; the Attorney General and Minister of Justice. In all of these matters due process was followed to the letter at all times. I wish to categorically state that I have never held any discussions on this matter, with any individuals or entities outside of official channels. As Minister of Petroleum Resources, I did not participate in any activity relating to financial payments on the Malabu matter, other than those statutorily mandated to the Minister of Petroleum Resources by the Petroleum Act. My role in this matter was a purely statutory one as required by Law in the Petroleum Act 3. On the 13th of June 2016, the EFCC once again took their well-trodden path to the media. This time claiming that they had ‘discovered’ a mansion in Asokoro, Abuja, worth $18million (approx. N9billion) which they purported to belong to me. The EFCC went to the extent of bringing in Aljazeera, an International TV Station, to air a damaging documentary against me in this regard, showing a particular residential building in Asokoro, Abuja, which they told Aljazeera belonged to me. The EFCC Chairman Ibrahim Magu, personally took the Aljazeera reporter to the building, alleging that it belonged to me. It has since become apparent that the house belongs to a company owned by Mr Kola Aluko. If this is not a witch hunt or a personal vendetta against me, how is it that one of our Country’s premier investigative agencies were unable to avail themselves of facts that are freely available in the public domain. Since the EFCC claims that the alleged $18million Asokoro property belongs to me, then they should kindly produce the ‘Authentic’ Certificate of Occupancy and Land Registry information and any other relevant information, as proof of my ownership of the property. There was absolutely nothing ‘Hidden’ or ‘Concealed’ about the home. I HAD DECLARED IT OPENLY as required by Law, in my Asset declaration forms (Annex-4B). Yet the EFCC have announced that they ‘Just Discovered’ my ‘Hidden Estate’! And labelled it a ‘Multi-Billion Naira Estate’! Even though they had been given the Bill of Quantities, showing actual amount spent. It is accepted Tradition across the length and breadth of Nigeria, for people to own country/village homes. Given the size of the land and the location of the compound, the buildings thereon cannot by any stretch of the imagination be a “Multi-Billion Naira” palatial estate, as the news mongers would want to portray. The EFCC were taken on a tour of the compound which consisted of A Main house, and two outhouses – An Obi (meeting bungalow) and a staff quarters(BQ) building – above which we built 3 guest rooms and a parlour. The only other 2 structures are the gate and generator houses. Construction began in late 2011 and was handled in phases. During the visit the EFCC was given the bill of quantities, which up until the time construction stopped in early 2015, due to my illness, was at approximately N394million which was declared in the code of conduct documentation, attached (the costs were partially funded by a loan – see code of conduct – Annex4B, the work is still uncompleted and the contractor is still being owed). Building costs escalated as a result of delays in construction and external factors such as the extreme flooding of late 2012, that covered most of our areas in the Niger Delta. Due to the topography of the land and the heavily waterlogged and marshy terrain, construction is infinitely more expensive than in other parts of the Country, as by its nature it requires the building of extensive piling/raft foundations before any structural work can commence. The flooding of 2012 compounded the problem and further increased the cost of construction. Stories were circulated by unscrupulous agents of calumny that the EFCC found a mind boggling $700million in cash in my home in Abuja. Would the videos of this $700 million cash discovery not have made good viewing? Or should those who recovered this money not tell the public where exactly the money has been kept? Perhaps the Central bank should corroborate that it is in custody of these monies allegedly found in my house? But then, it is now patently apparent that Nigerians are no longer easily led to believe fables and sensational untruths. In late 2013, NNPC was accused by the then CBN governor, of misappropriating first $49.8billion, then it changed to $12billion and finally it was said to be $20billion. And in the twinkling of an eye that accusation was turned around and directed at me, personally. I was accused of stealing/misappropriating the unfathomable amount of $20 billion. In a CNN TV Interview in March 2015, the former CBN Governor stated that “there was this gap of $20 billion after reconciliation between what NNPC exported and what it repatriated to the federation account and I raised a number of issues that I think have not yet been discussed and addressed sufficiently. One of them is billions of dollars being paid in kerosene subsidy without appropriation by the National Assembly and against a presidential order and we don’t know who authorised these payments yet. Nobody has owned up to say I authorised these payments, I made a mistake, it will stop…”. He, went on to say that…. “…It could be $20 billion at the end of the day, after reconciliation they could account for 10 or 12…”. So, as he pointed out, there was indeed a reconciliation that at first stage had begun to close the purported gap. He also referred to the non-appropriation of kerosene subsidy by the National Assembly. This was an issue for which I had tried to engender a resolution and for which I was still seeking a lasting solution to, at the time the CBN Governor raised these issues (Annex-2A). He had stated severally that a large portion of the $20billion was constituted of illegal approvals for Subsidy payments that I had given and that the late President Yar’adua had directed that the said subsidy payments should be stopped and that I did not comply with President Yar’adua’s directive. I have said it before but let me say it again. President Yar’adua’s directives were made in a presidential memo dated June 10, 2009, to the late Petroleum Minister, Rilwanu Lukman, not to me. I was not the Minister of Petroleum Resources at that time. My tenure as Petroleum Minister began in April, 2010. 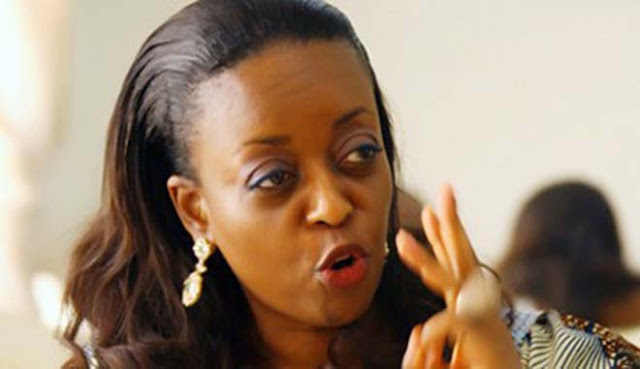 Those directives were not complied with by Rilwanu Lukman, not Diezani Alison-Madueke. I made several attempts when we came into office in April 2010, to get to the real truth of the matter. Even before we came in the GMD who served under Rilwanu Lukman, Alhaji Barkindo, who is today the Secretary General of OPEC, had written to the then Minister of Finance, Alhaji Muhktar, to enquire for clarity on the matter, to no avail. Finally, I had to write to President Jonathan to get to the truth of the matter. President Jonathan pointed out that although he and President Yar’adua had wanted to cancel the entire issue of subsidies, the unions had objected and therefore the payment of subsidy had never been stopped. He directed that in the meantime we continue the payments but with the proviso that we prepare for complete deregulation as soon as possible(Annex-2C), which I of course moved to implement on Jan 1st, 2012. Today, we all know that the PWC report that was published cleared me of any wrong doing and no one up till now has been able to controvert the PWC report, nor has anyone been able to show that the $20 billion is actually, or was ever, missing. In addition, the Makarfi-led committee in the Senate of The Federal Republic of Nigeria, in a series of publicly-held hearings, also vindicated me on the matter of the purportedly missing funds. In late 2011, due to the incessantly high subsidy figures which we knew were coming from unscrupulous marketers who were dealing in Round-tripping at the expense of the Nation, I removed all 92 PPPRA throughput marketers, amongst whom we believed were those undertaking round-tripping and substantially raising the cost of subsiding petrol for the entire Nation. In doing that, I cut the subsidy bill to the Nation by almost 50% and put my life under immediate threat. Yet, I was accused, in the now defunct NEXT magazine, of taking bribes from these same companies. At end December 2011, I directed PPPRA to move for complete deregulation, to rid the Oil & Gas sector of the speculators, the bloated middlemen and the parasitic influence of Godfatherism. This was in an attempt to create a far less corruptible system as it was quite clear that the intended benefits of the Subsidy system were not reaching the masses but were being hijacked by unscrupulous middlemen cabals. And finally, to allow the true market factors of supply and demand to come into play….. And as you all know, the country pushed back against it. Even after that, in early January 2012, I sought the permission and received the approval, of President Jonathan to write to EFCC asking that they please come in and investigate the entire Subsidy program and the fraudulence embedded in it(Annex-2D). And yet, I was called the corrupt one. It is pertinent to note here, that the incumbent government themselves maintained the full subsidy regime for over one year until they realised (as I had pointed out in 2011 and had championed continuously), that it was unsustainable. 7. My Stewrdship I would like to state for the record that I performed my duty as Minister of Petroleum Resources with the utmost sincerity and sense of responsibility, ensuring that all Nigerians irrespective of creed, gender or tribe enjoyed their rightful benefits from the Oil and Gas Sector. $5.6 Billion LNG Dividend Fund It is pertinent to note that at the end of my tenure, I left behind in the LNG dividend fund, for the incoming Administration, the sum of $5.6billion(five billion six hundred million US Dollars)(Annex-6A). I did this to ensure continuity in the crucial gas sector development which underpins the entire Power and Energy Sector and which was and still is, absolutely imperative for the Country’s current and future economic development. Local Content Having pushed for the full implementation of the Nigerian Local Content Act, despite resistance from various stakeholders, I actively promoted the benefits of ‘Nigerians Right to First Consideration’ in both the downstream and upstream sectors. The immediate effect of my actions was that for the first time in history, thousands of Nigerians were able to break through the barriers of a sector that had hitherto been the preserve of a few powerful groups with vested interest, and thereby earn a living. This remains a source of pride to me, that not only did it create wealth across the entire economic value chain but it also ensured the unparalleled transfers of knowledge and expertise for our indigenous operators. It is noteworthy that the template is being adapted for use in other countries. Fuel Scarcity It is on record, that I immediately took the issue of incessant fuel queues head-on and in my time as petroleum minister, Nigerians rarely experienced fuel shortages. These queues had long dominated our landscape, causing untold hardship to millions of ordinary Nigerians stuck in fuel queues for hours; like the bus driver who was unable to earn enough to go to the market, and the market woman who, therefore, earned less and so could not afford school fees. This example, though at the most basic level, caused a chain reaction which was replicated in various facets throughout the economy. So, on the macro economic level, the main benefit of ending the fuel queues was an immediate increase in GDP, reduction in inflation and easier facilitation and movement of people, goods and services, across the country. The continuing effect of all these measures were that even in the most remote locations, Nigerians could buy and sell petroleum products. Gas Supply & Infrastructure As soon as I assumed office, I put into play my wealth of experience in the oil and gas sector, knowing that gas was imperative for our future growth and prosperity. I put together a team to look at all aspects of growing Nigeria’s Gas with the intent of turning Nigeria into a Premier Gas Exploring and Producing Country, even more than an oil producing country. We started working on Gas for Industry – The commercialisation approach, Gas for home use – LPG, and Gas for Power generation. We even sponsored a pilot scheme for Gas to power vehicles. I implemented a short, medium and long term project to put in place sustainable gas supply to underpin the power sector and began laying the requisite infrastructure that was virtually non-existent when we took office. We worked with NERC and the CBN to put in place the necessary fiscal levers, to ensure that Gas supply would be competitively priced. I left behind a comprehensive and detailed plan for the rollout of LPG and the Industrialisation of GAS eg. The Ogidingben project. Petroleum Industry Bill I personally worked tirelessly through the night on many occasions, with the committee on the Petroleum Industry Bill, to finally get it to the point where for the first time in over 12 years, we could place it before the Federal Executive Council, and the National Assembly. I championed this in a bid to create aless corrupt, more transparent, accountable and responsible NNPC and Oil and Gas Industry as a whole. It was also to create additional funding inflows for the Nation. This was in spite of the fact that there was major resistance from powerful interest groups within and outside Nigeria. I take personal satisfaction even now, that the PIB template I presented to the country is still the benchmark for the current and future development of the Oil Sector in Nigeria. The Template is already being adapted for use in other countries. It is saddening that after eight years of serving my country, my experience as a public servant has been fraught with continuos malicious castigation and character assassination, all in the name of ‘personal vendettas’ or political horse trading. It has become apparent to many that these untruths told were at best well-crafted fables. The most dramatic and damning accusation was the infamous missing $49.8 Billion Dollars, that went from to $12 Billion and then up to $20 Billion and which was alleged missing from NNPC. Today, we all know that the PWC report that was published cleared me of any wrong doing and no one up till now has been able to controvert the PWC report nor has anyone found the “missing” 20 billion, or who took it. In addition, the Makarfi-led committee in the Senate of The Federal Republic of Nigeria, in a series of publicly-held hearings, also vindicated me on the matter of the purportedly missing funds. Yet, we are all silent as if these events never occurred! The allegations that I have addressed above are no different, the character assassination continues, this time with a new set of hirelings. One of the basic tenets of the human trait is that we all have shortcomings and we all make our fair share of mistakes, whether we are in positions of Leadership, or not. However, one error that cannot be ascribed to me is STEALING FROM NIGERIA & DEFRAUDING MY COUNTRY! It is therefore sad and distressing that in spite of all that I tried to do in the best interest of our Nation, I continue to be faced with constant demonisation, unproven accusations and deeply personal insults. In response I have chosen not to insult, accuse or demonise anyone, any person or persons. In spite of all the allegations that have been made against me, not one has been factually proven. I remain very proud of the fact that all the policies, tenets and plans that I initiated in the Oil & Gas sector are still underpinning the entire structure. This is because they were put in place with the good of the entire nation and its people in mind. They were not factional, or tribal, neither were they based on religious bias. I am a woman from the Niger Delta, who through perseverance and sheer hard work rose to one of the highest positions in the Country’s premier International Oil Company, and in tune with my ethos of hard work I earned the prestigious British Foreign & Commonwealth Chevening Scholarship Award and was thereafter admitted to my MBA program at the World renowned Cambridge University. In 2006, I was appointed as the first female executive director in the history of Shell Petroleum, Nigeria. Just over a year later, I was nominated and appointed as a minister of the Federal Republic of Nigeria, culminating in my appointment as Nigeria’s first female Minister of Petroleum, where again by dint of hard work I was appointed as the first female in history(in a completely male dominated space) to hold the Presidency of OPEC. I can therefore, NO LONGER SIT BACK and allow the fabricated accusations against my person designed by unscrupulous persons with a vengeful agenda go unchallenged. As a Christian, it is my sincerely held belief that in the coming months, history will be the judge of exactly who Lied and who told the Truth. By the Grace of God, I shall be here to see the day when truth prevails. The fight against corruption in Nigeria will be far better served if the EFCC focus on incontrovertible facts, as opposed to media sensationalism and completely distorted stories, in their bid to demonise and destroy a few specially chosen Nigerians. Documentary evidence is available to support the facts.